Mississippi health officials reported the second confirmed human West Nile virus (WNV) in a patient from Newton County today. This is the second confirmed WNV case recorded in the state in 2014. “This is the second case of West Nile Virus in Mississippi this year. 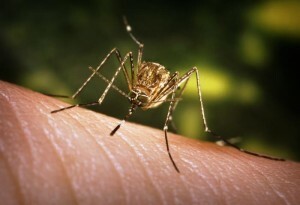 This serves as a powerful reminder of the importance of preventing mosquito exposures, particularly as we approach the historically active summer months,” said MSDH State Epidemiologist Dr. Thomas Dobbs. The first case of human WNV in Mississippi occurred in a Hinds County resident in February. In 2013, Mississippi recorded 45 WNV cases and five deaths. According to the Centers for Disease Control and Prevention (CDC), approximately 80 percent of people (about 4 out of 5) who are infected with WNV will not show any symptoms at all. Up to 20 percent of the people who become infected have symptoms such as fever, headache, and body aches, nausea, vomiting, and sometimes swollen lymph glands or a skin rash on the chest, stomach and back.Symptoms can last for as short as a few days, though even healthy people have become sick for several weeks. About one in 150 people infected with WNV will develop severe illness. The severe symptoms can include high fever, headache, neck stiffness, stupor, disorientation, coma, tremors, convulsions, muscle weakness, vision loss, numbness and paralysis. These symptoms may last several weeks, and neurological effects may be permanent. Nationally in 2013, the Centers for Disease Control and Prevention (CDC) reported 2,374 WNV cases and 114 deaths. This was a far cry from the 2012 outbreak that had a final total of 5,674 cases of West Nile virus disease in people, including 286 deaths. Since first seen in the United States in 1999, over 37,000 WNV disease cases have been reported to the CDC, and this number likely underestimates the total number of infections. In addition to the human toll, an analysis published in the American Journal of Tropical Medicine and Hygiene (AJTMH) in February shows that hospitalized cases of WNV disease have cost a cumulative $778 million in health care expenditures and lost productivity over a 14 year period.